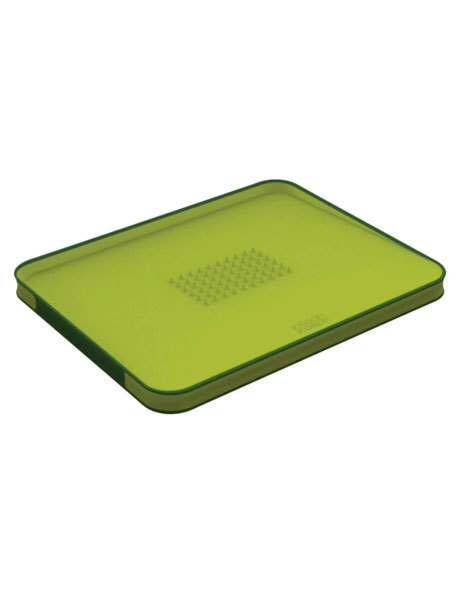 Cut&Carve Plus is an enhanced version of our popular double-sided, multi-function chopping board, which now boasts non-slip feet and soft-grip sides. It's angled cutting surface is designed to assist in the collection and drainage of liquids or food and it has is an integral meat grip on one side of the board to assist when carving. The opposite side of the board provides a smooth cutting surface, for general food preparation.